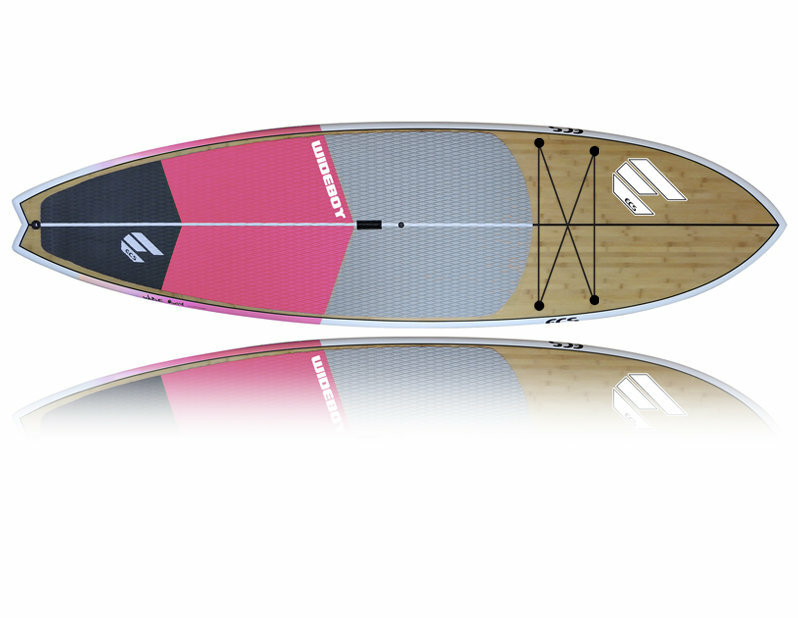 The Wide boy is ideal for those wanting a shorter board to surf yet requiring extra volume and stability. The board has a wider nose and center point for early entry into the wave yet turns with ease thanks to the pulled in swallow tail. The volume and stability is further enhanced with a wide flat deck yet features medium performance rails and single into double concave bottom maintaining speed through turns. A fast, super fun board that is a true performer. These boards are shaped from an Ultra-lite high density EPS foam blank using vacumm sandwich construction with real bamboo top/bottom and complete rail wrapped adding to the structual integrity of the board. It also features reinforced wood/glass standing area for additional strength.